Let this sink in: Valentine's Day is about demonstrating the depth of your feelings, not the depth of your wallet. If your romantic gesture is going to put you out for the next month, hold off. A woman worth keeping will respect you for not over-extending your bank account for a single calendar day. Work within your means. Instead of doling out money you don't have, get creative. If you can't afford a fancy dinner, have her over for cheese and Prosecco (Italian sparkling wine that costs a fraction what Champagne does). 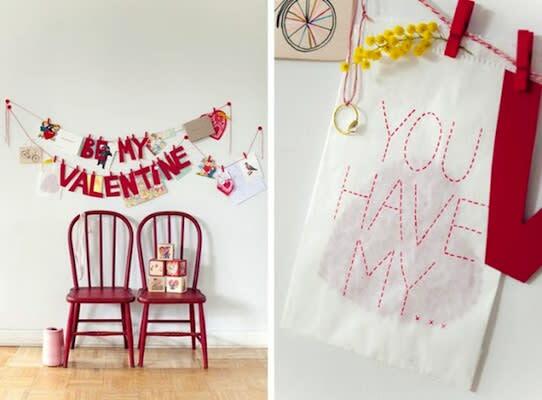 Turn your living room into a love den with as many cheesy Valentine's Day-themed decorations you can find. An ordinary night can be made memorable with minimal cash and out-of-the-box ideas. Can't afford Godiva? Make some homemade chocolate-covered strawberries. A hotel room for the night isn't in your budget? A bag of tea lights and Hershey's Kisses cost a few dollars, and can transform her bedroom into a swoon-worthy oasis. Fancy cards too pricey? Try scribbling a love letter on the back of a photo of the two of you, or on a love-oriented Tumblr image (search: Love) you printed off at Kinko's for a few cents. Can't swing jewelry? String together small pieces of folded paper with compliments on them that she can "wear" for weeks. You have options if you give yourself time to plan and execute.